Boston hotels in the downtown area (i.e. 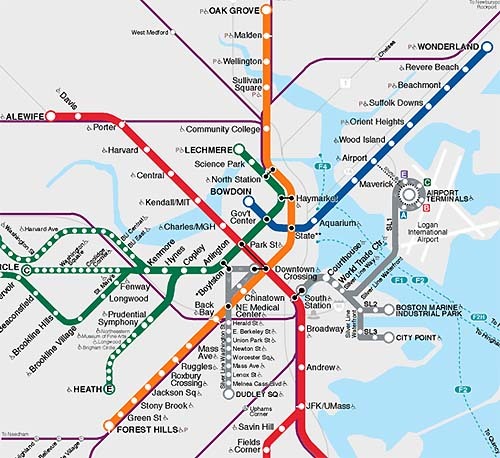 near Faneuil Hall or T subway stops – State and Downtown Crossing) are typically quite expensive. 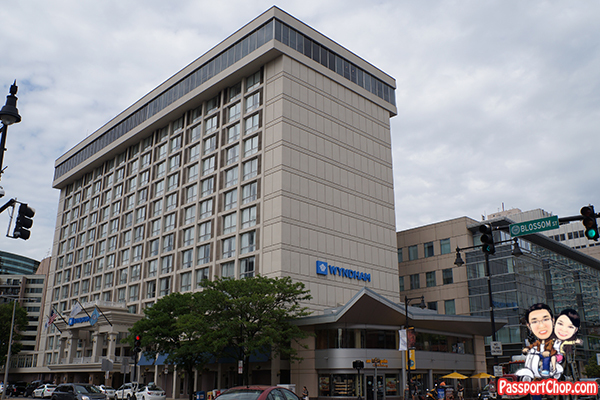 Wyndham Boston Beacon Hill hotel is great value for money considering that it is located 5 minutes away (slight uphill walk) from the T subway stop of Bowdoin (which in turn is just 2 stops from State subway station where all the action is e.g. Freedom Trail, Quincy Market) and room prices are very reasonable. Wyndham Boston Beacon Hill also features a seasonal outdoor pool so bring along your bathing suit to make the most of your trip, whether for business or pleasure. There is also a well-equipped fitness center in the hotel. 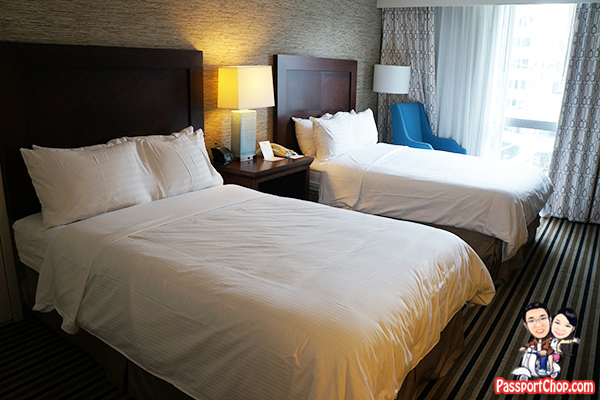 The rooms at Wyndham Boston Beacon Hill are spacious (300 Square Feet / 27 Square Meters) – this is a Deluxe Double room and for the same price, you can also get a Deluxe King room. Both room types are equipped with a 32 inch flat screen HDTV and complimentary Wi-Fi Internet access. The difference between the 2 room types (besides the bed configurations) is that the Deluxe Double room comes with a bathtub (with a shower head over it). 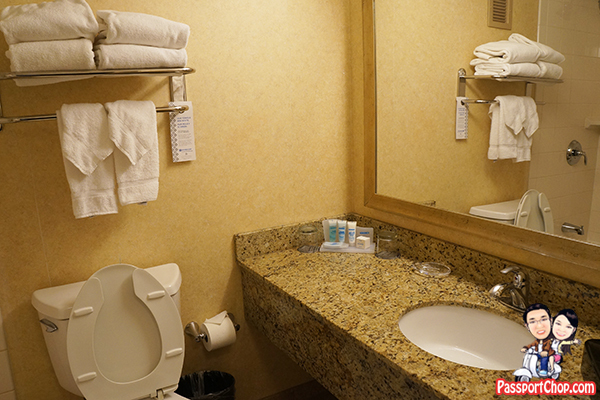 Bathroom amenities are adequate and we found everything in place e.g towels, hairdryer upon arrival – perfect for a shower after a 20-hour flight from Singapore! The best part about Wyndham Boston Beacon Hill is its location. 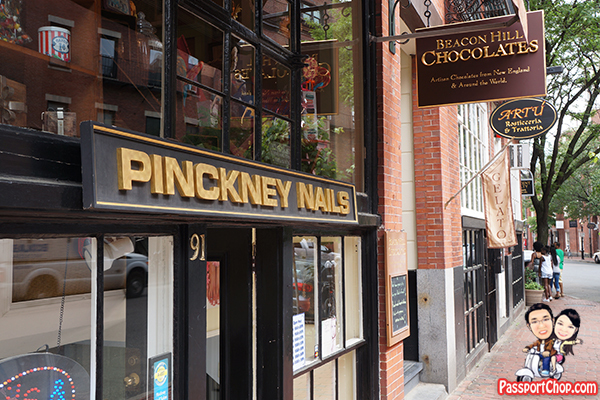 As its name suggests, it is located at the Beacon Hill area – from the hotel, you can take a leisurely 6 minute stroll towards the MBTA Red Line (Charles/MGH Station) and you will reach Charles Street – an interesting street with lots of small antique shops and many shops selling different novelties including the famous Beacon Hill Chocolates boutique. Walking back to the hotel from Boston Common/Public Gardens in the evening, you will also be able to see the interesting lit up shop displays (even when the shops are closed) and you can do some window shopping while walking back! Charles Street leads directly to the Boston Common and Public Gardens (10-15 minutes walk). 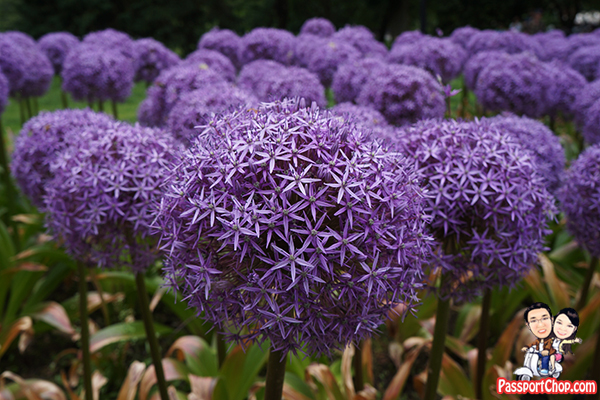 Here you will find alliums and other interesting flowers as well as …. 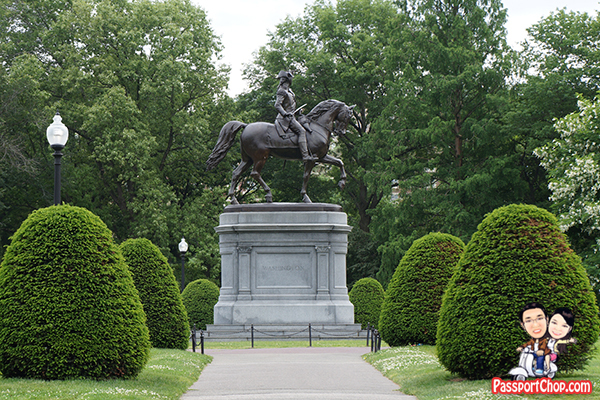 … George Washington statue – Boston has the proud heritage for being the birthplace for the American Revolutionary War and you will find many reminders of this throughout this city e.g. 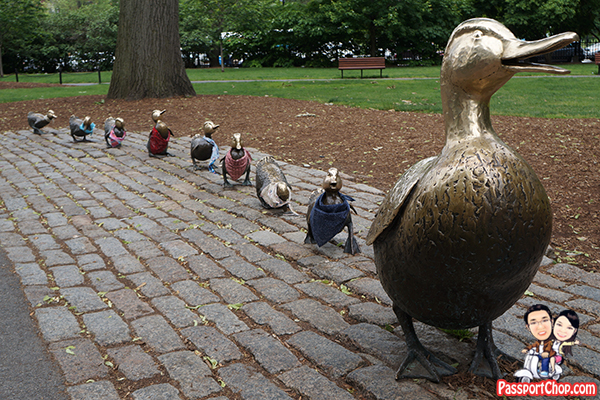 the Freedom Trail. 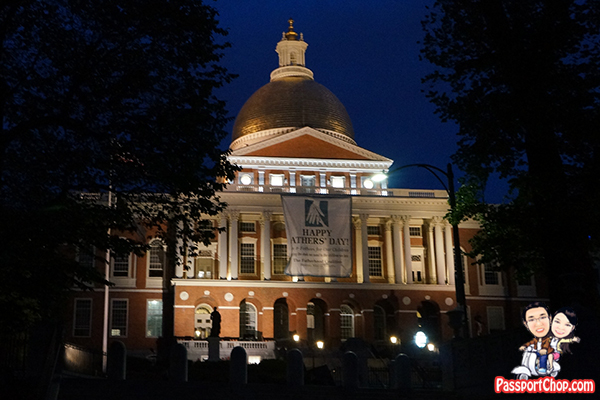 You can also visit the Massachusetts State House (free admission) – however, if you want to take a guided tour of the State House, you will need to call ahead to make a reservation. Head west on Cambridge St. Turn left at Charles St. MBTA Red Line will be right there. 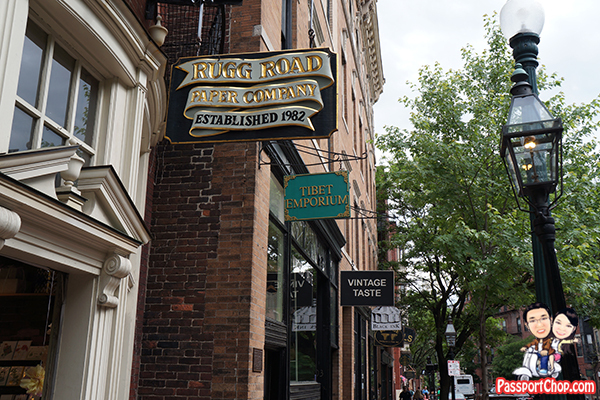 Head east on Cambridge St. Station will be on the north side of the street, just past New Chardon St.
Great review.. The hotel was clean and the staff were friendly and helpful. Hotel is near the Boston T and the neighborhood is well lighted at night and feels safe. We will stay there again.